New Delhi: A group of Officer Trainees of the 70th Batch of Indian Revenue Service called on the President of India, Shri Pranab Mukherjee today (March 21, 2017) at Rashtrapati Bhavan. 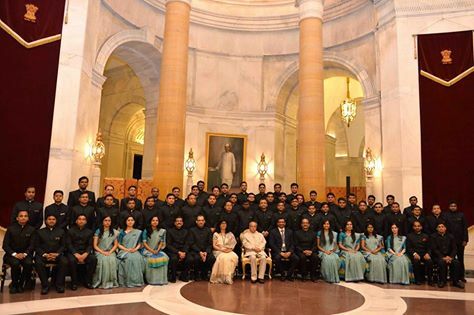 Speaking on the occasion, the President welcomed all Officer Trainees to Rashtrapati Bhavan. He specially welcomed two officers of Royal Government of Bhutan who had been undergoing training with the officer trainees at NADT, Nagpur. He expressed happiness that officer trainees of this batch are from diverse social and cultural backgrounds from all parts of India. He congratulated all of them for qualifying Civil Services Examination. He said that they have embarked upon a challenging career by joining Indian Revenue Service. No other service thrusts such huge responsibly on young shoulders as the civil services. The motto of Income Tax Department is ‘Kosh Moolo Danda’ which means ‘revenue is the backbone of administration’. Kautilya in ‘Arthashastra’ has beautifully described the manner of tax collection. The President said that the duty of tax collection is a sovereign function of the State. 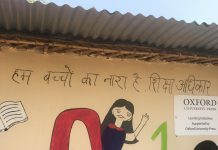 The purse of revenue collection has to be maintained with utmost care because it governs the implementation of all schemes of development and welfare. He said that he had been closely seeing the working of income tax department initially as the Minister of State from 1973-1977 and then a Finance Minister from 1982-84 and then again from 2009-2012. The Union Budget presented by the First Finance Minister, Shri Shanmugam Chetty involved a total revenue collection of Rs 171.15 crores. Over the years, Indian economy has expanded enormously and gathered momentum. Income tax in India forms a major part of total tax revenue in India. The direct taxes that contributed 36% of overall tax collection of India in 2000-01 formed 50% tax revenue in 2015-16. The President said that the role of civil servants has transformed from being regulators and administrators to being facilitators. He said that the probationers are the policy makers of the future. He wished them all success in their future endeavours.